This Thursday, the Solar System put on a celestial performance, and we had a front row seat to the spectacle. 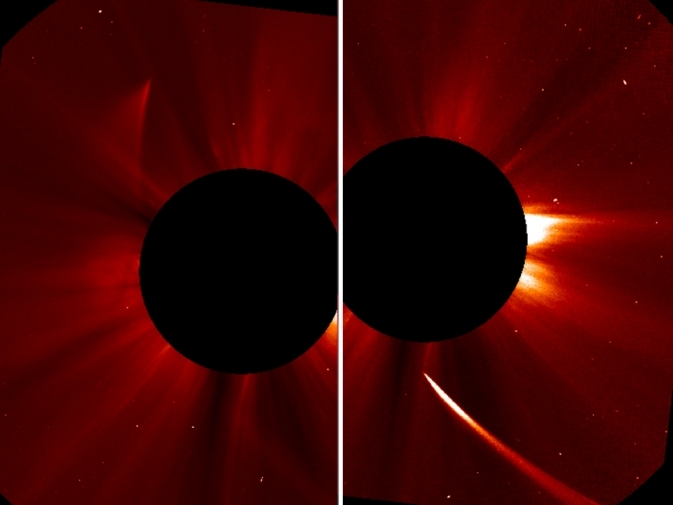 Long period Comet ISON made its closest approach to the Sun entering the Sun’s atmosphere. This sun-grazing comet was making its first entry into the inner Solar System after spending most of its lifetime in the outer reaches of the Solar System in the Oort Cloud (a spherical shell of icy bodies residing at ~10,000-20,000 AU and the repository of long period comets). 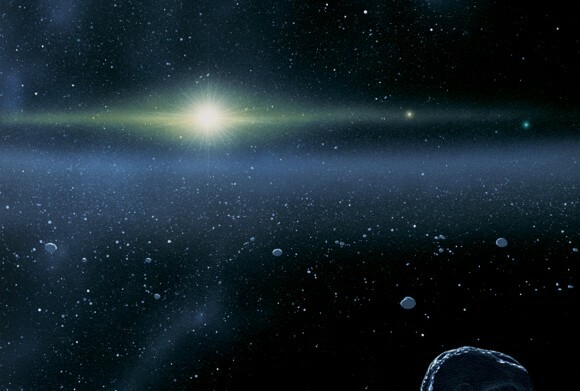 For most of the Solar System’s history ISON has resided out in the Oort Cloud, but the gravitational tug from a chance passing star or the gravitational pull from the gravitational tides with the center of the Milky Way nudged ISON onto an orbit straight for the Sun. Comet ISON was discovered in November 2012 and has sometimes been touted as potentially being the ‘Comet of the Century’ with some predictions that it might become so bright to be visible with the naked eye if it survived perihelion (its closest approach to the Sun). Since ISON was discovered with such warning before perihelion, astronomers were able to organize observing campaigns with ground-based and space-based telescopes to study how the comet changes as it got ever closer and closer to the Sun. 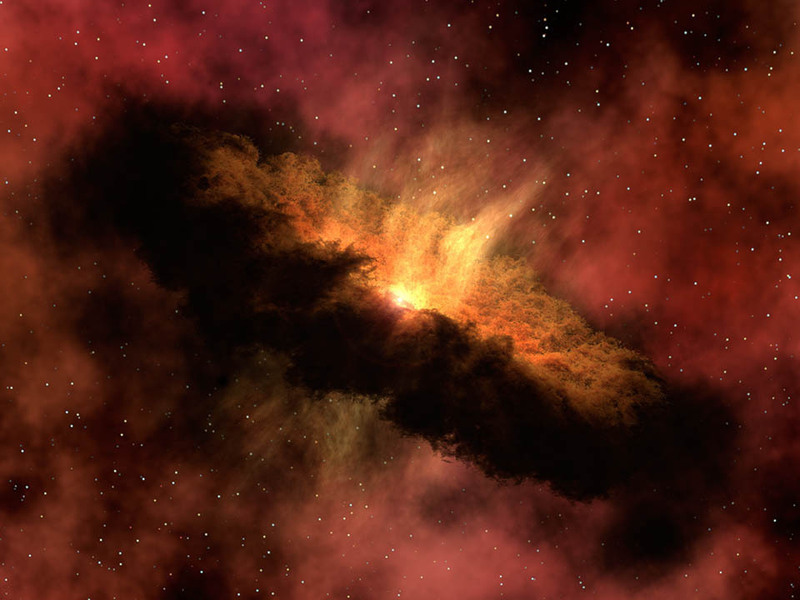 Planetary scientists and astronomers will be pouring over the data for months and likely many years to come. On Thursday the spacecraft monitoring the Sun including Solar Dynamics Observatory (SDO) and Solar and Heliospheric Observatory (SOHO) were poised to capture ISON as it made it’s closest approach. Comets are a conglomeration of ice, rock, dust, and frozen gases, and many don’t survive the fiery perihelion passage; the nucleus disintegrating with only dust and a rocky rubble pile remaining. It wasn’t sure if ISON would survive. 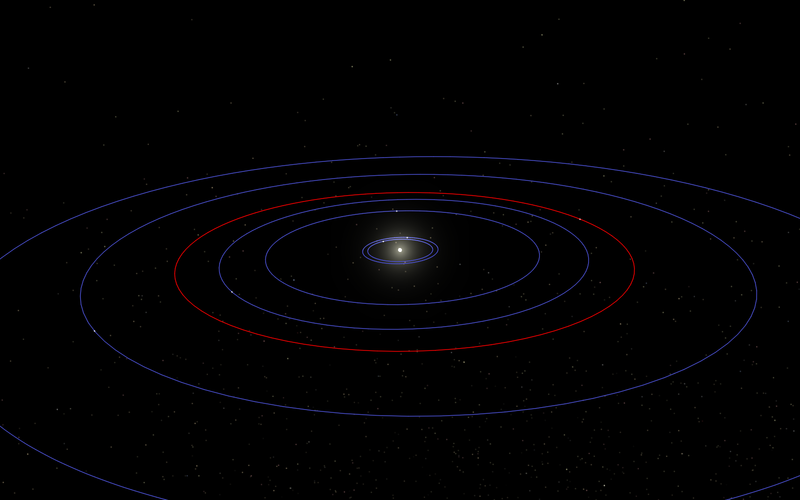 It looks like something has indedeed survived perihelion passage, but ISON is providing more questions than answers. It appears to have completely lost its coma and tail which were blasted away as it skimmed the Sun’s million-degree corona. As you’ve probably seen the contradictory statements that ISON was dead and then alive (ISON is not behaving like any sungrazing comet seen before and if you were following twitter and the news reports you were seeing science in progress. Conclusions were changing as more data came down in live time). The current word on the street is that likely a small chunk of ISON’s nucleus made it through perihelion, but it’s still not 100% clear what survived. ISON appears to be behaving like a comet albeit a very small and dusty comet, but time will tell. Future observations over the coming days and weeks will confirm whether gas is being produced which would be the tell-tale sign that there is ice and frozen gases in from some part of the nucleus still around. If there is no gas, then it’s just a rubble of rock and dust left in orbit that will slowly dissipate. Chances are that at this point ISON won’t be naked eye visible but either way, ISON has left us with more learned about comets in the Oort Cloud and added many many many questions for astronomers and planetary scientists to solve while putting on a spectacular show for us. For full coverage and the latest on Comet ISON and how it is doing after it’s fiery encounter with the Sun, check out NASA Comet ISON Observing Campaign blog run by Karl Battams and the Planetary Society’s Comet ISON Live Blog by Emily Lakdawalla and Bruce Betts. 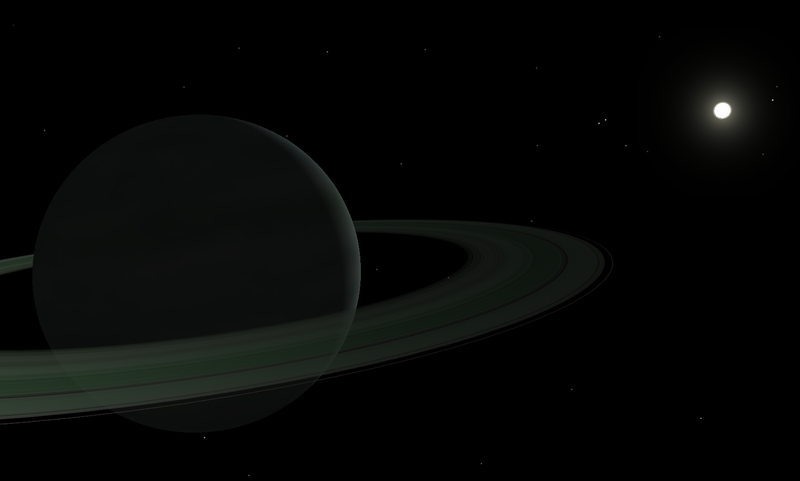 What am I doing talking about a comet on the Planet Hunters blog? 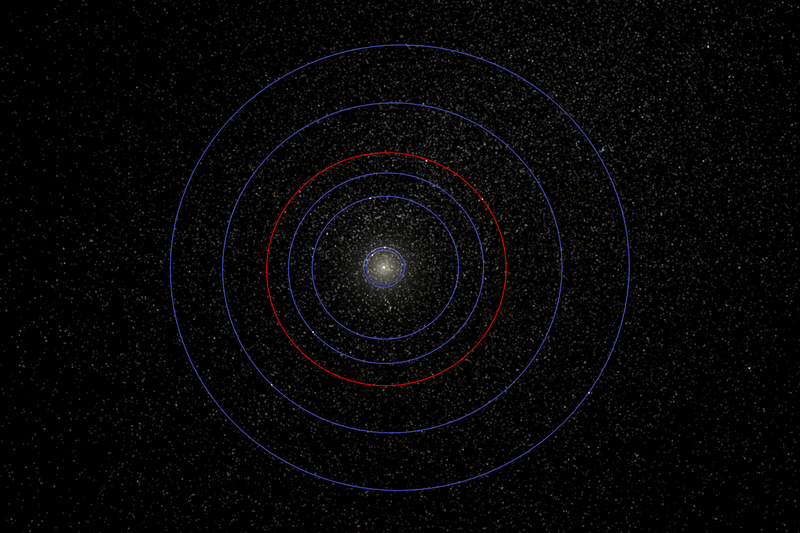 I do have having a soft spot in my heart for icy outer Solar System bodies, that’s the area of research I worked on for my thesis, but Comet ISON is a good reminder that we should think about these exoplanets we’re finding with Kepler and Planet Hunters as members of a larger planetary system. The transiting planets are the ones we detect, but there is much more there that we don’t see. 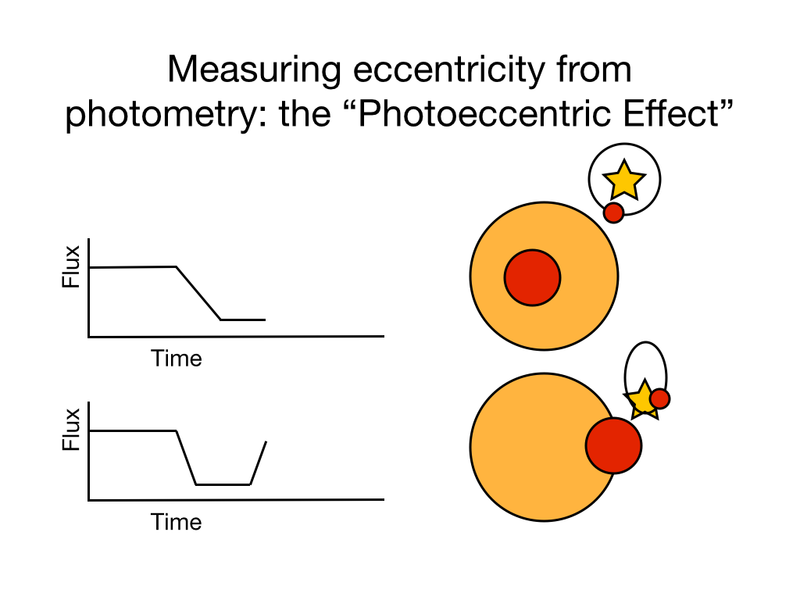 We know in some transiting exoplanet systems there are unseen (‘invisible’) non-transiting planets, perturbing the orbits of the transiting planets changing the timings and durations of the observed transits. 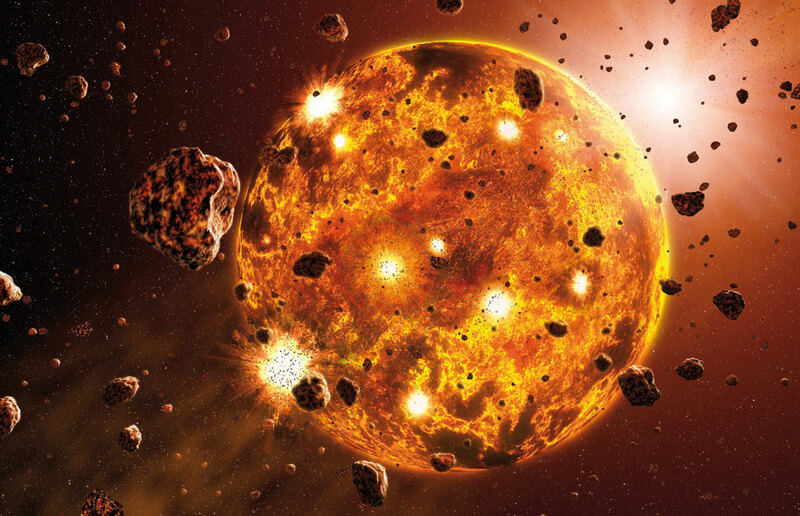 There is also likely the building blocks of planet formation left over as debris hanging around in many of the planetary systems found in the Kepler field. Perhaps some of the material is trapped in belts like the asteroid belt and Kuiper belt in our own Solar System. 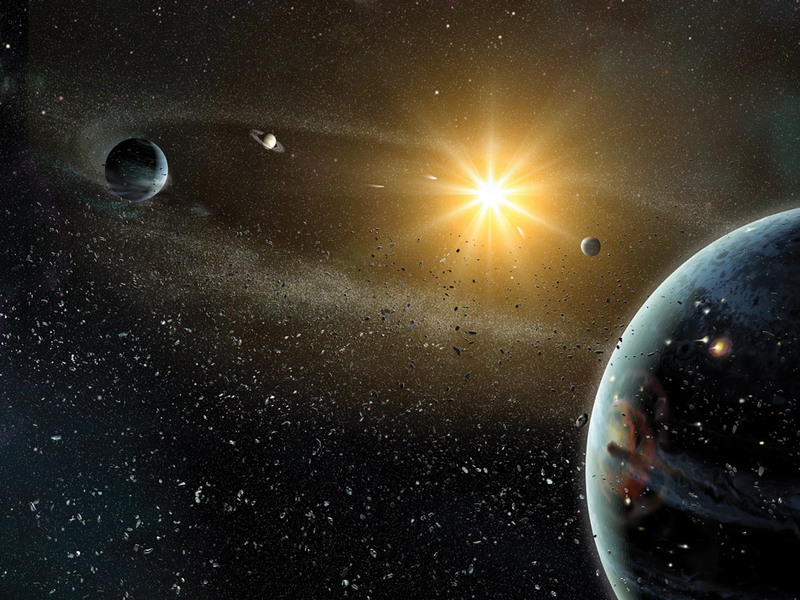 Many of them likely have Oort Clouds (distant repository of icy bodies of their own). 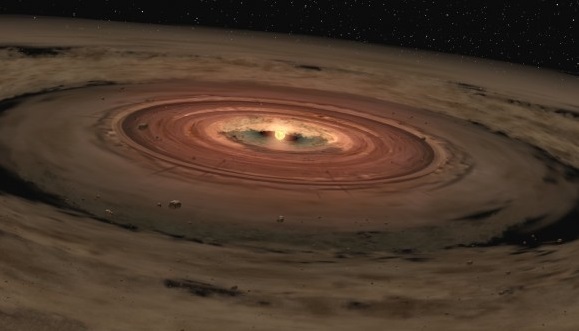 Debris disks likely the equivalent to our own Kuiper belt have been spotted around stars. 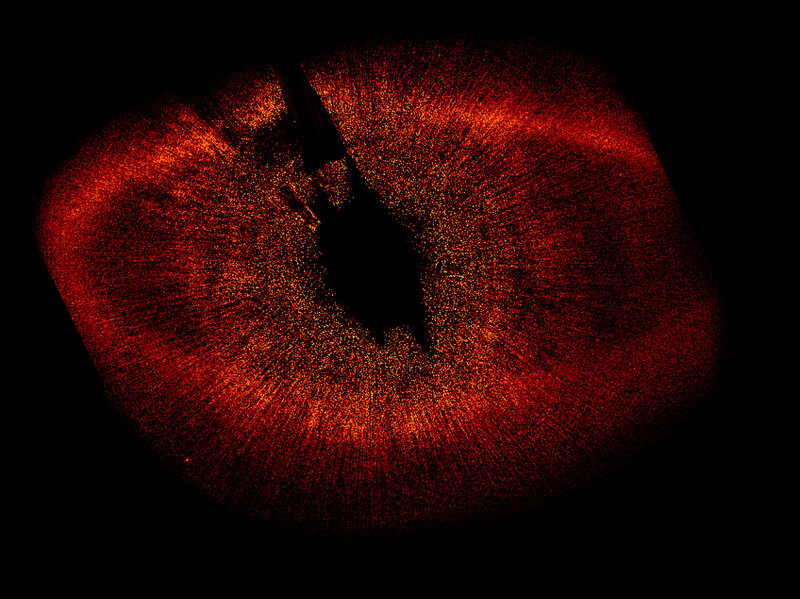 One of the famous examples is Fomalhaut shown below. With all the stunning images from SOHO and the confounding behavior of Comet ISON, it reminds us that our Solar System remains the best studied planetary system and that we have still so much more to learn and understand about the Solar System’s formation and evolution. What happened to ISON is probably happening to many other icy bodies around other stars in our Milky Way. We just happened to have a front row seat, but what a show did ISON put on for us! So the next time you look for transits on http://www.planethunters.org take a moment and think about the planetestimals, dwarf planets, and minor planets likely residing around the planet host stars too.